I’ve been working my way through the French Pharmacy list that Gwyneth Paltrow made. You can find report #1 here and report #2 here. I’ve got four more products to tell you about today. Three are from the Goop list, and one is a recommendation from my friend, Caroline (it’s my favorite!). 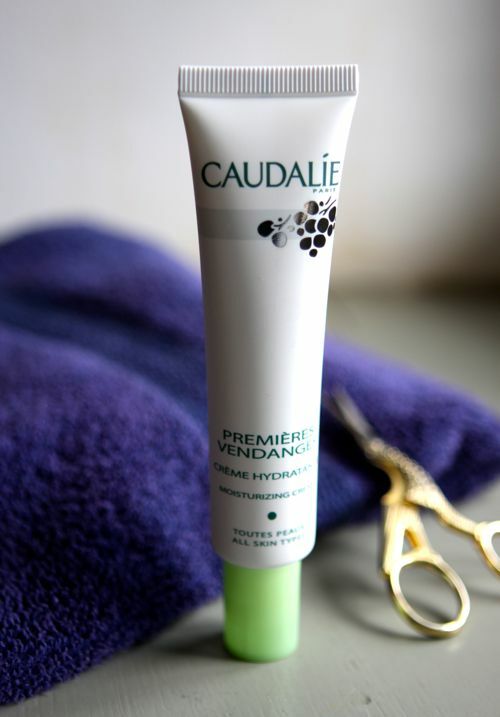 First up, Caudalie Premières Vendages. Gwyneth describes this as an excellent basic daily moisturizer and I fully agree. Though I actually don’t use it daily, because I like to use a moisturizer with spf. But I’ve found this little tube perfect for travel! It’s just the right size and comes in flexible packaging that won’t shatter. I love applying a layer as a flight lands. It has a fresh, clean scent and leaves my skin with a not-too-shiny glow. Next up, Embryolisse. 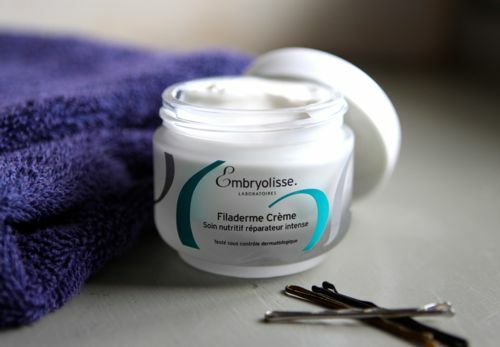 I had a hard time tracking down this one because Embryolisse is the name for a whole product line, not a particular product. My pharmacist told me to try the Filaderme Crème. Friends, it is wonderful stuff! It’s the perfect layer under makeup. And though it’s intended for daytime, I’ve had great luck using it at night, right before bed. My skin feels firm and healthy when I wake up. I can even skip my morning moisturizer if I’m in a hurry! Gwyneth says Bioderma Crealine H20 Micelle Solution is “the BEST makeup remover” and I can see why she likes it so much. There’s no need to rinse when you’re done, and it gets every bit of make up off in a snap! It has made my end-of-day routine much more pleasant. This one is my favorite on this post — and it’s the least expensive! (I can’t seem to find an English-website to link to this particular brand, but here’s a similar product). It’s called Eau de Bleuet, and my fabulous French friend, Caroline, brought me a bottle when Oscar’s eyes were a bit swollen. It soothed Oscar’s eyes in a moment (you spray it on cotton pads and then let it rest on closed eyes), which was wonderful. But it’s also proved amazing for tired, puffy eyes in the morning! I can’t remember what I did without this. I use it frequently and make sure to fill a travel-size bottle with it whenever I have a trip. One last note, it’s been so encouraging to see that most of the products on the Goop list have become available in U.S. shops over the last year. I remember writing my first post, and I couldn’t find U.S. links to anything! I’ve fallen in love with some of these products and I’m so glad I’ll still be able to find them when we move back. Have you tried anything on the Goop list? What did you think? Just minutes ago I reading reviews on Sephora about the Caudalie Vinoperfect Serum! May have to get both now, although I, too, prefer a SPF moisturizer. What do you use? You could check out my spf 20/toner on my site too. I super like it. I wear it every day. I’m still searching though. I’ll look into these. We drove through France last Summer with four kids and a tent, and each chemist I could get to, I checked for Goops list. Standing in those cool, quiet Meccas to good skin was the perfect antidote to the chaos (and fun!) of the trip. 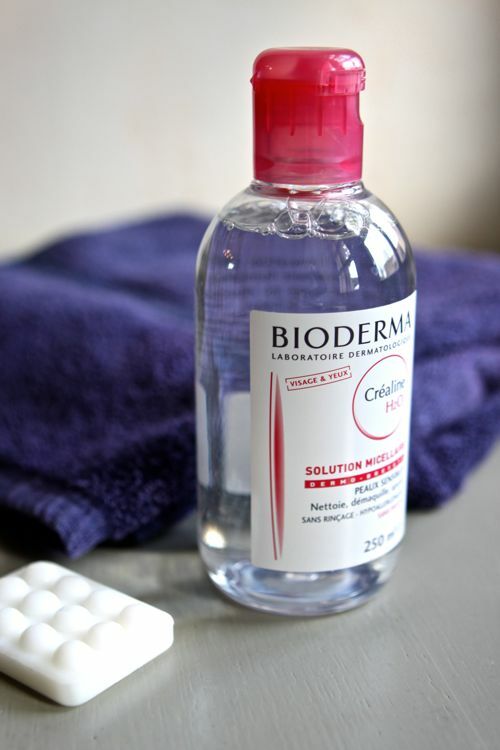 I found and really liked the Bioderma make-up remover (Perfect for camping! ), and Avibon, which I use nightly now. Gwyneth did’nt mention the brand La Roche Posay and I would add their Nutritic 5% to her list. It’s a fantastic moisturizer and great for around the eyes. I am an eternal fan of Avibon since reading your blog post. I love the creaminess and the faint rose smell. It is such a treat to my skin. I agree with Nuxe Huile Prodigeuse! Its great for the hair and smells lovely. I also really love the Darphin line. Everything they have is just lovely! Gotta say I’m a huge fan of Bioderma. My husband actually told me about it and I’ve been hooked since! That’s probably the one French product I use daily. And I’m spoiled living in France because it’s available everywhere! If you like Eau de Bleuet, you should try Klorane’s Lotion Démaquillante Apaisante – an eye makeup remover with blueberry water, too! I’ve used it for years and there’s no way I can ever buy another eye makeup remover! Hi, i saw your pin on warm weather break out, we have a cure for your fans, its natural also.just a wash or two, acne, breakout vanish very fast..New Creation DSM Olive soap or DermaGold.V black bar.. I am from Singapore, and happen to chance upon your website on motherhood..
you have such a beautiful website and charming and much more to say, like self help..doing the perfect ironing , sharing.. I am trying a startup from home in skin care items. i enjoy reading all those ladies chatters in your website. Currently, i dont have a website now, but i have natural – The One in A Million soap – DermaGold.V and New Creation, for beauty and all skin’s problems issue. young children and adults all can cure for eczema, acnes, body odour and rashes, insect bites, itchiness..allergy flush.. Psoraris ..
Beauty wise, it removes blemishes, firms skin and improves complexion natuarally..
How to be a sponsor in your website? 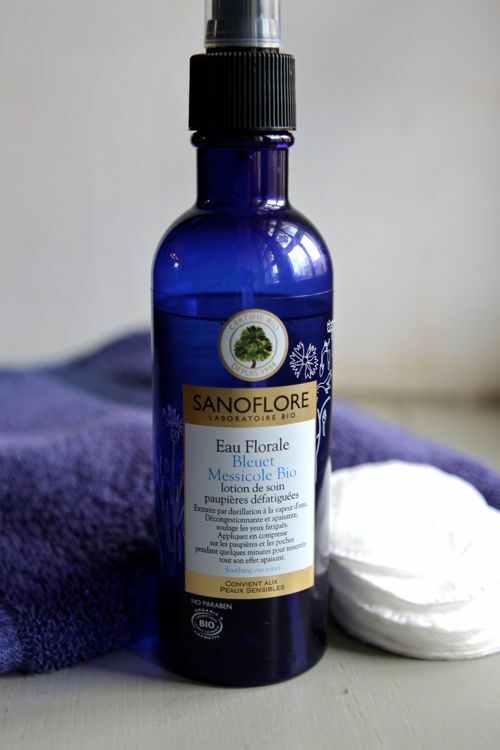 till then, look forward to hear from you..
Where do you get the Sanoflore, Eau de Bleuet , beside Amazon France, which charge so much for the shipping ? Would a French pharmacy have it ?